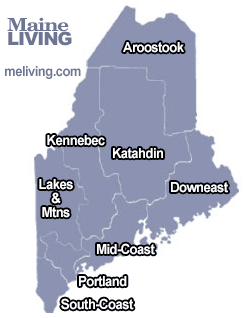 Portland and Casco Bay, Maine is an ideal place for your outdoor adventure. One of the most famous Maine State Parks is Two Lights State Park, which is named for the historic Portland Head Lighthouse and Cape Elizabeth Lighthouse. Portland is often a mecca for bird-watchers, bicyclists, and runners, since it has a sprawling complex of parks and forest. Baxter Woods, Deering Oaks and Back Cove are all interconnected via trails and Tukeys Bridge. If you visit in July, you can hike from the outskirts of Portland to Back Cove to the Eastern Promenade for the fabulous fireworks display on the water, July 4th. Please share your Maine hiking comments. To feature your business, contact us. Baxter Woods is a Nature Preserve with a bird sanctuary and woodland park. Many foot trails intersperse Baxter Woods, providing short cuts throughout Portland to Deering Oaks and Back Cove. Back Cove has 33 acres of tidal flats that attract shore birds at this sanctuary-within-city. Parking, picnicking, and a path around the cove runs along Baxter Boulevard which abuts Baxter Woods and Deering Oaks. Deering Oaks, a Historic landmark, is Portland’s largest public park which features beautiful stands of old growth white oaks with many footpaths that meander into Baxter Woods and down to Back Cove, as well as a skating pond. Bradbury Mountain has a bald lookout at its summit, with magestic views of Casco bay and the White Mountains. This State Park has hiking trails, cross-country skiing trails, campsites, a play area, a softball field, and picnic tables. Two Lights State Park is named for two of the most famous lighthouses in Maine – Portland Head Light and Cape Elizabeth Light. The rocky, steep shoreline, looks out across the open Atlantic Ocean. Paths connect Cape Elizabeth Light and Portland Head Light/Fort Williams. Standing at either end of the trail connecting the lighthouses, a person can see the other lighthouse on a clear day. This route is also famously known for the Beach to Beacon 10K foot race put on each August by Olympian Joan Benoit Samuelson. This State Park is on the Wolf’s Neck penninsula and has a scenic frontage on Casco Bay and the Harraseeket River. 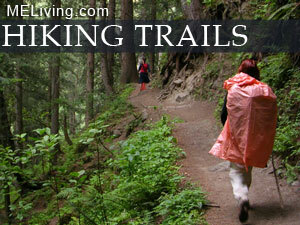 It features a system of fine self-guiding hiking trails. Wolf’s Neck Woods also has picnicking facilities.